I visited Milestones a couple weeks ago for a late Christmas dinner with two of my closest friends from high school. 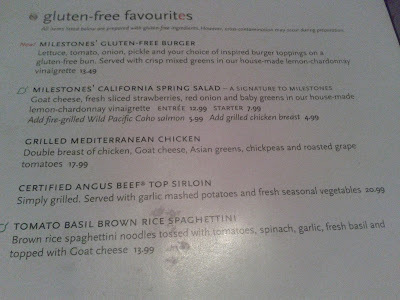 I had been to Milestones while on a gluten-free diet once before. It was years ago and they only had an (outdated) allergy chart on their website. They now have a gluten-free menu!! Gluten-free options include pasta, chicken, burger (with bun! ), salad or steak. 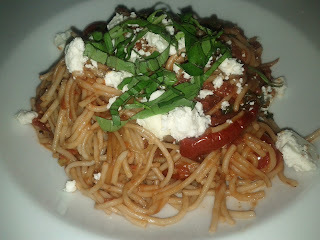 The vegetarian options are a little slim but pasta is always a favourite of mine! It's hard to go wrong with pasta. Tomato Basil Brown Rice Spaghettini topped with goat cheese - perfection! You know what I loved about Milestones? When the server took my order, she confirmed by saying "Gluten-free pasta" and again confirmed that it was gluten-free (without me pestering her) when bringing the plate. 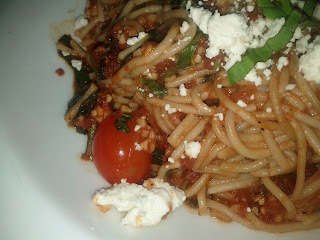 Even though the pasta was incredibly filling... I noticed there was a gluten-free dessert so I had to order it. 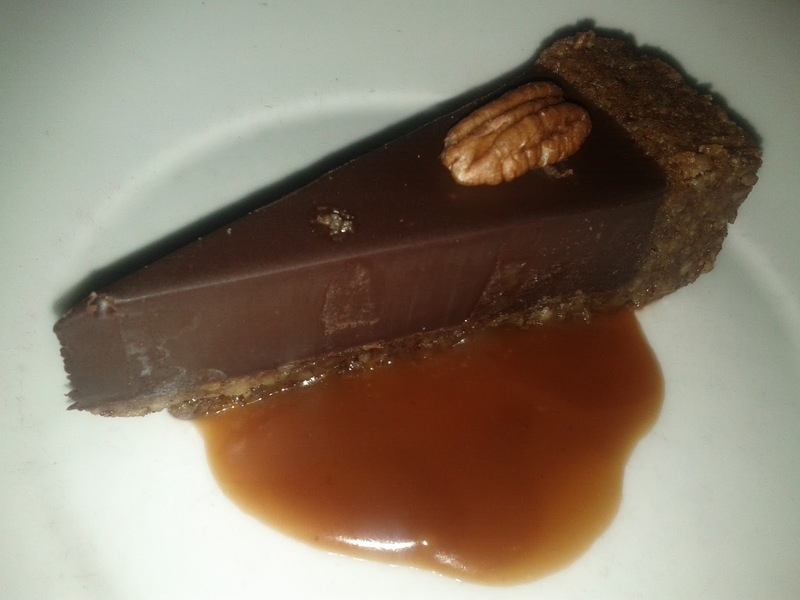 The Ganache Torte is made with Belgian chocolate with a pecan crust and caramel sauce. Who else has been to Milestones? I often go to get take-out of just that dessert...it is my absolute favourite! That's what I wanted to hear! The ganache torte is already my favourite dessert there, so I'm happy to hear that it's gluten-free (now that I'm starting to eat GF).